Wednesday morning we reversed off of our mooring back to the water point and thence to Sutton Wharf to wind (turn), my temporary bow-thruster fuse didn’t even last that far, so Further Investigation will be required, I’m hoping for an electrical solution but fearing a plastic bag or worse wrapped around the bow-thruster’s prop! 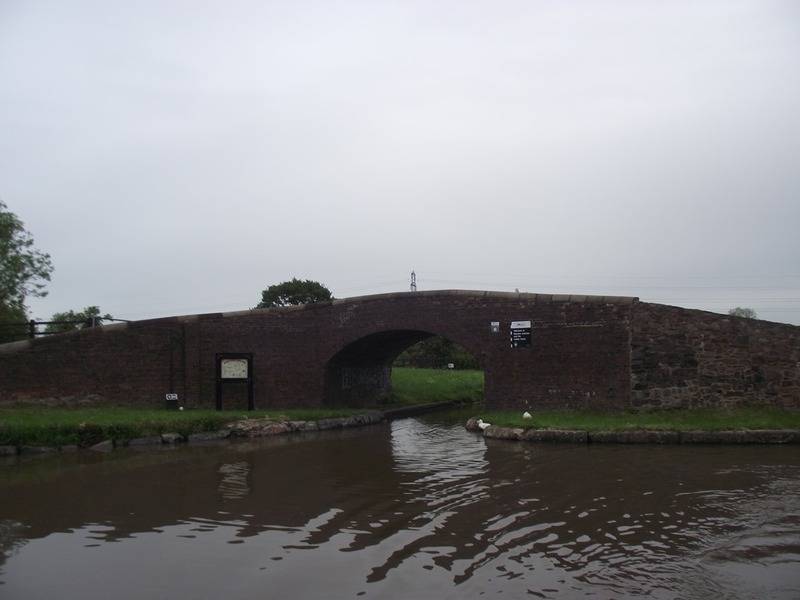 We continued back to Marston Junction and onwards to Hawkesbury in the unremitting drizzle, Joy has been sharing the steering with me and was persuaded to attempt that 180° turn, which went OK until a cyclist hailed us to ask the way to Birmingham. He was finding the towpaths really bad having to push his bike through the mud in places and had already been to Coventry so why he came back this way was a mystery to him and us (not to mention his lack of a map!). On the subject of mucky towpaths we noticed this plant growing in many of the boggy places, perhaps someone can identify it from our long range photo? We didn’t find a suitable mooring at Hawkesbury so we carried on, almost to Stretton Stop, where Rose Narrowboats are based, and found ourselves a spot where mercifully the busy railway line veers away from the canal for a few miles so we could have a quiet nights rest. 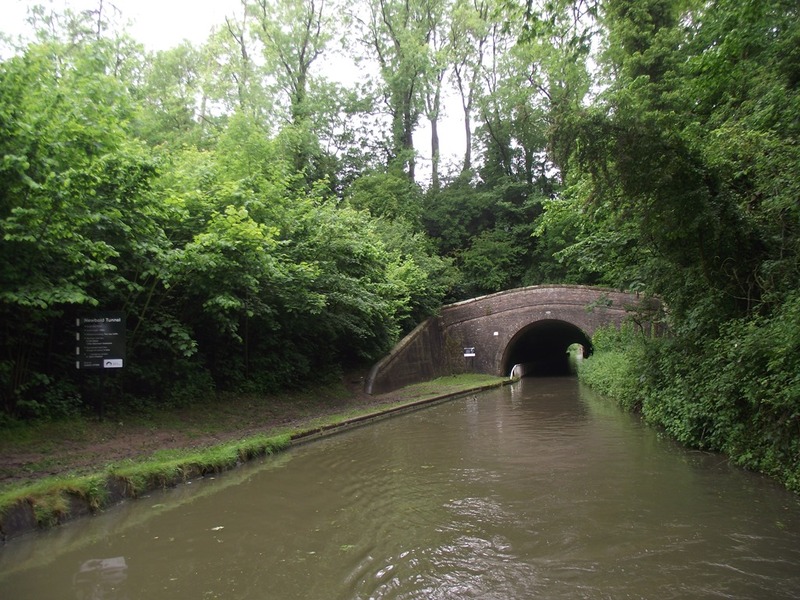 We made an early start the next day and Joy took us through her first tunnel at Newbold. We made Rugby by lunchtime and walked down to Tesco for provisions and Maplins where I bought a hard drive enclosure so I can copy over my files from the old laptop and an Acer power plug so I can use my 12v adaptor. After lunch we made our way up to the top of Hillmorton Locks meeting a couple of working boats on the way, nb Peacock, running a Bolinder engine if I’m not mistaken and Royalty Class Victoria, Royalty Fuels. Quite something when you see the height of those bows headed towards you. We moored at the locks behind nb Waiouru because we had visitors coming for a meal, John and Judith from nb Serena who had chauffeured us to Crick Show and were now celebrating the installation of their new engine. 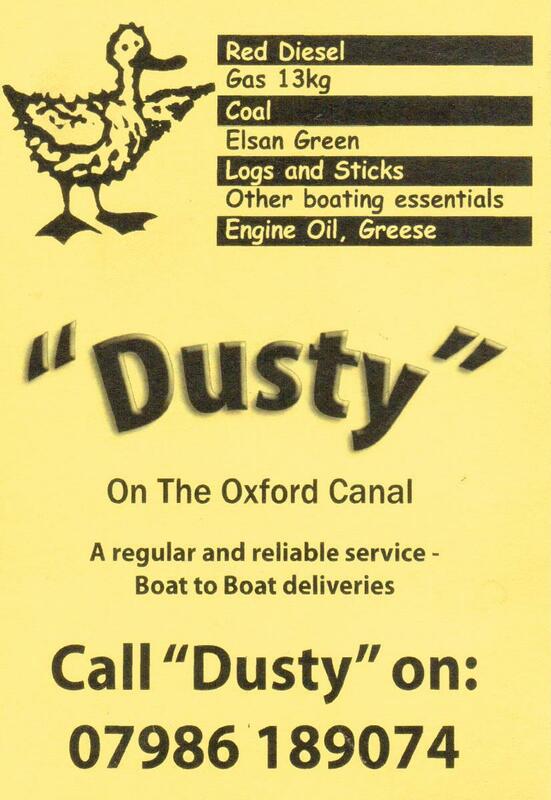 Today took us on to Braunston Junction, on the way this widebeam was moored near a bridge-hole. 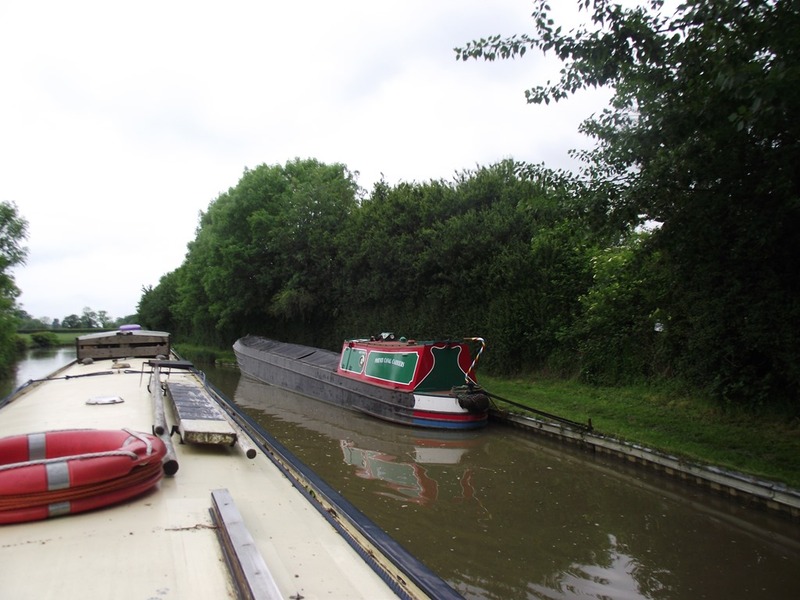 They will have to turn before Hillmorton because they are narrow locks! Onwards to Napton, passing another working boat, nb Arundel, and after some debate about the weather upwards too, on up the locks which were quite busy but it mostly worked to our advantage, except for one hire crew who ‘turned’ a lock on us, bless ‘em. There was no room at the moorings at the top of the flight so we continued along the summit level until we found a quiet spot with another boat near Priors Hardwick. 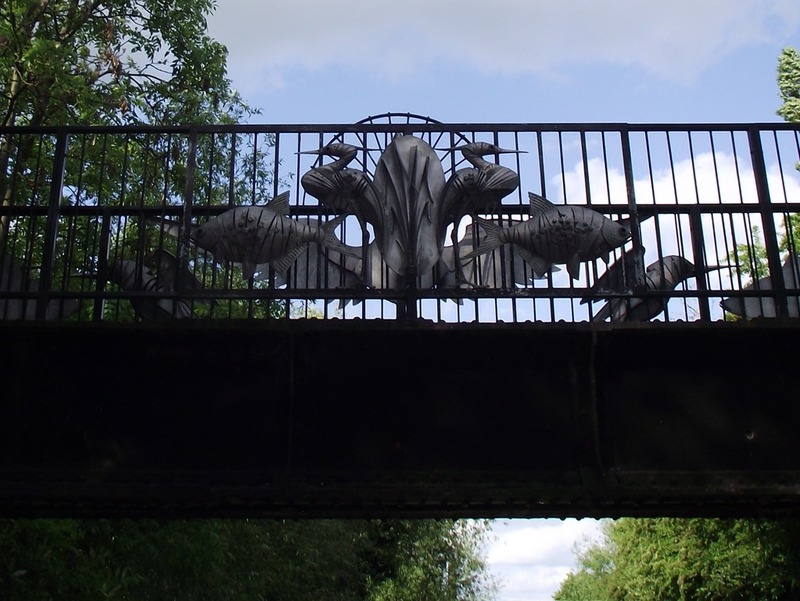 Now rewind to my last post, we left you at Hawkesbury Junction, remember that bridge art? I must have overworked the bowthruster reversing to the mooring because I found the fuse had blown. Nevertheless we set off in the morning to Marsden Junction where we joined the Ashby Canal or rather we nearly overshot the turning because we were waving to a little boy and his dad who were on the towpath. Of course I just acted cool and pretended it was all part of the manoeuvre to make the 90° turn. The weather was drizzly but we slogged on as far as Sutton Wharf where we found a place on the visitor moorings. We had intended to meet our friends Carol & Ted the next day and take them up to the (current) end of the Ashby Canal, but the weather was no better so decided to spend the day with them on the boat. Being the good friends that they are, however, they offered to drive us to PC World in Leicester and it was a chance to see their recently acquired camper van too. Oddly, as its the same company, they have a Currys store almost next door to PC World where we chose an Acer E1-572 laptop as it was priced almost £30 less there. So its thanks to Carol & Ted that you’re reading this blog, we came back to the boat and had a meal on board before they left us and yes, you guessed it, I spent the next xn hours setting up the new toy. As I mentioned last time we spent Saturday at Crick Boat Show and did a stint of a couple of hours on the RBOA stand, we had quite a few conversations with wannabe liveaboards and enjoyed sharing our experiences over the past four years with people who are contemplating starting on that journey. We had a great time dodging the showers and one torrential downpour with thunder and hailstones while managing to check out the stalls and meeting Ruth & Barry from Heyford who are contemplating buying a narrowboat for holidays. Our new friends John & Judith took us back to Hillmorton where they are waiting for a new engine too be fitted to their boat. When we got back on the boat I found my laptop wouldn’t work and I’m writing this on Joy’s iPad so goodness knows how it will come out, no photos for a start. 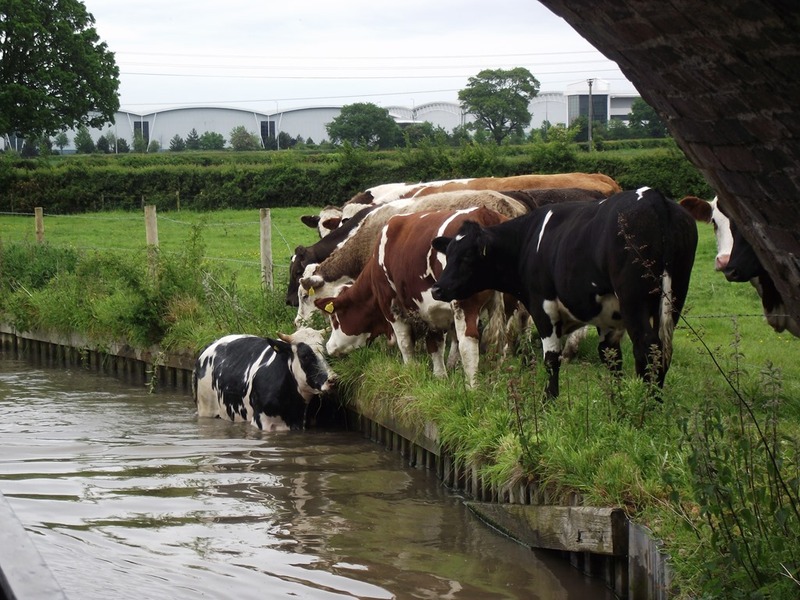 Today we dropped down the 3 Hillmorton locks and arrived at Rugby Visitor Moorings just after 10 and made a quick visit to Tesco. 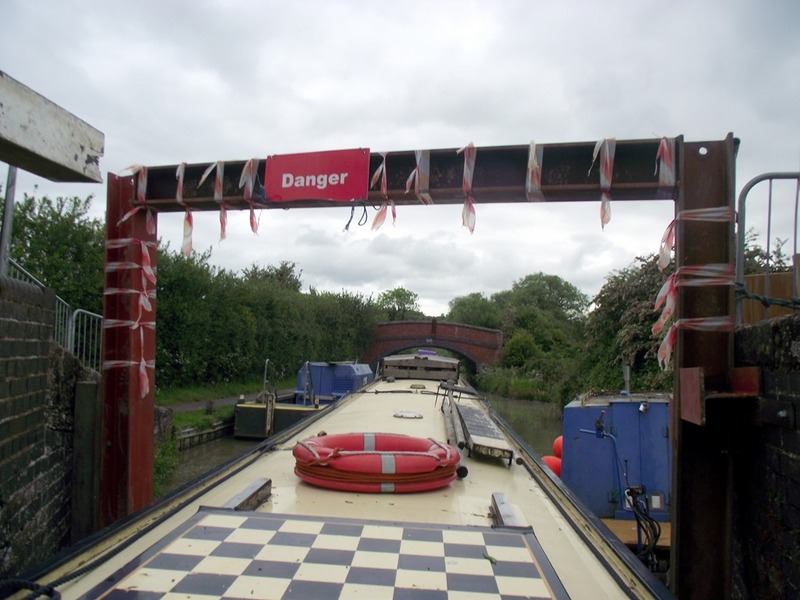 Then it was a lock-free cruise all the way to Hawkesbury Junction known to generations of boatmen as Sutton Stop after the toll clerk who once presided over this important junction. When we arrived at the stoplock we discovered that the hire boat we had been following had a crew of Scouts so we had to excuse their erratic steering, especially as a Scout from another crew locked us through. We negotiated the U Turn in front of the Greyhound Pub without making fools of ourselves, then reversed up to a vacant mooring just past the bridge with metal sculpture on it, just wish we could share a photo with you! .. and now here it is! We have been hatching cunning plans to make the most of my weeks holiday following the Bank Holiday weekend so last weekend we took the boat up to Fenny Compton and this week I commuted to work from there so we could leave there on Friday afternoon in order to reach Hillmorton by today so that we can travel to Crick Boat Show by car tomorrow morning. Phew! Did you take all that in? 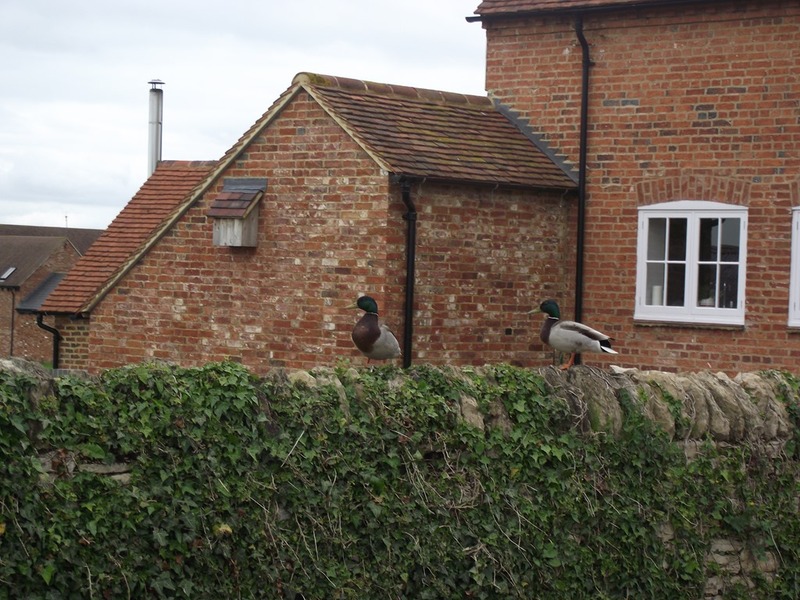 Of course the issue was further complicated by having to work around the restrictions at Napton Locks caused by the collapse of one of the ‘wing’ walls and the fact that we wanted to meet up with my big brother before he moves to Spain. Yesterday morning nb Bones arrived at Fenny and after a little judicious boat shuffling by Joy, Bones & Maffi both boats were watered up, the good ship Bones had a mooring and we were in pole position for departure when I got back from work. 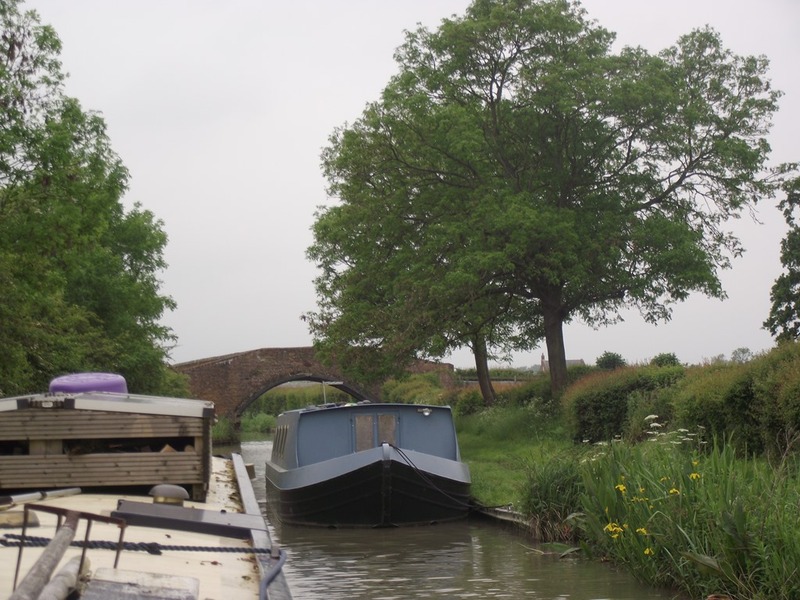 So after a glorious few days of weather we set off on the circuitous course along the summit of the Oxford Canal towards Napton, of course the rain started almost immediately and continued until we arrived at Marston Doles where we had arranged to meet my brother and sister. My siblings duly arrived by car and took us down to The Folly Inn where we hoped to have a meal, however we were greeted by a sign outside the door saying ‘Fully Booked’. “Never fear”, says I “there’s always The Bridge Inn.” … sign outside ‘Opening Soon’, not today then. Well at least we knew The Wharf Inn was open back at Fenny, so in a few minutes we drove back to where we had left by boat 4 hours earlier! Although they were very busy we enjoyed a good meal there, as usual, before being chauffeured back to Marston Doles and bidding farewell to Jan and Jim. This morning we made a start at the unheard of time of 7am and were at the problematical lock before 9am , and at the bottom of the flight by 9:30am. 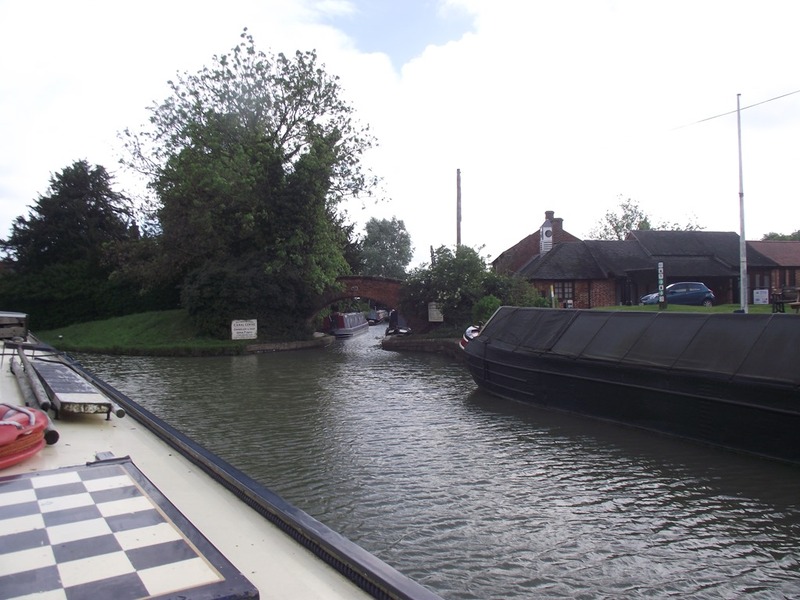 From then on it was a ‘good road’, as the old boatmen used to say, through Wigram’s Turn (Napton Junction), Braunston Turn and all the way to the top of Hillmorton Locks. We were only held up briefly coming into Braunston by a ‘fat boat’ (kind of a broad beam narrowboat!) whose steerer seemed to have difficulty seeing over the roof and fitting it through bridges. 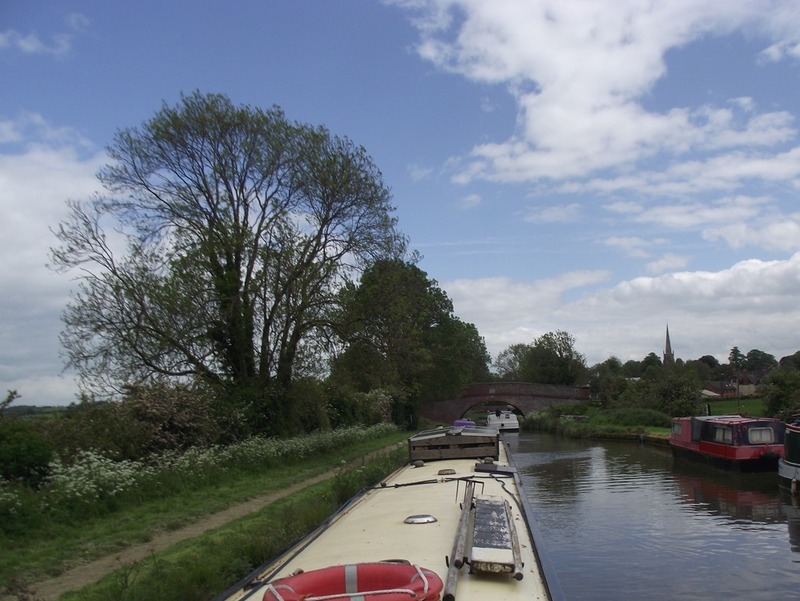 As we entered Hillmorton we passed the boatyard from where we hired our first narrowboat for a family holiday over 30 years ago. Who’d have guessed then, that today we would be celebrating living aboard our own boat for four years. Tomorrow will be manning the RBOA (Residential Boat Owners’ Association) stand at Crick Show for a couple of hours so this evening we met up with fellow members John & Judith who are kindly giving us a lift to Crick tomorrow. Enough for today, my head hurts! When I went back to work I found I had a gift waiting for me from my Australian colleague Colin ‘Digger’ Tregonning, whose wife Maureen has a shop, The Old Station Store, in Woodford Halse selling collectables, books and indoor and outdoor plants and pots. 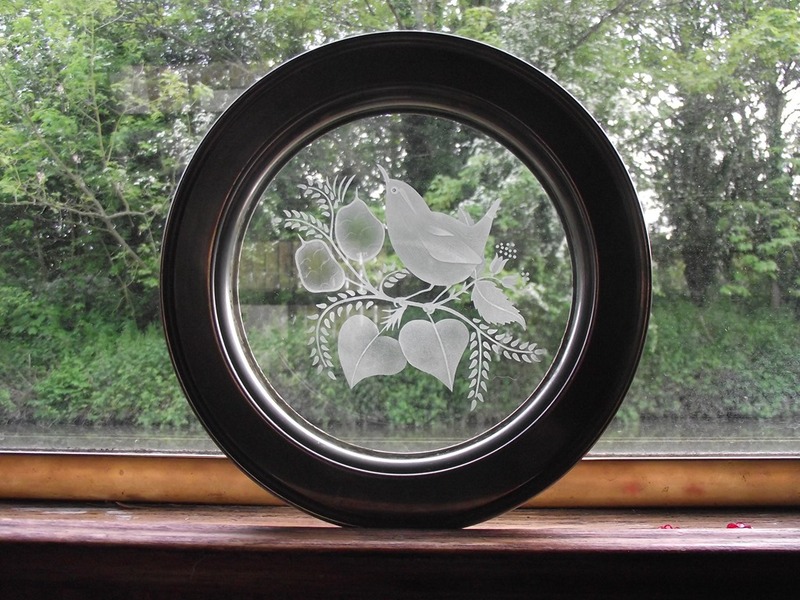 It now awaits having pride of place in one of our windows once we can figure out a way of securing it. Oxfordshire Art Weeks are taking place this month and Joy is exhibiting one of her photos at The Artery where she has her watercolour lessons. It was taken from the back of a motorbike we were riding around the dirt roads of our favourite Greek island, Skiathos. She is certainly braver than me when riding pillion. Today we went to pick up my new pair of glasses from Asda Opticians at Leamington Spa and on the way back called at The Wharf Inn Fenny Compton for one of their fabulous value 2-4-10 (two for a tenner) meals. As we were finishing our meal, Penny, the landlady came over and said she had something for us, she disappeared and moments later came back with a pump clip advertising Wren’s Nest Ale, how sweet of her to keep it for us! None on tap at present but we look forward to trying it even if we have to visit Howard Town Brewery in Glossop. 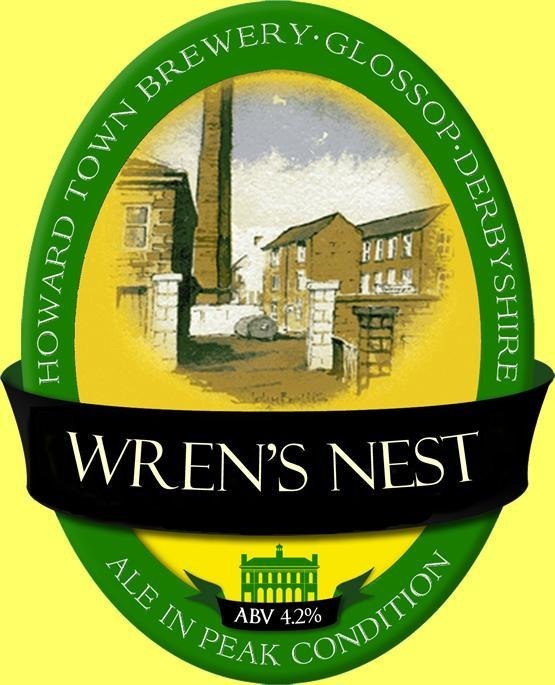 The beer is named after the Wren Nest Mill complex, just north of Glossop High Street, behind the Globe Pub. Sadly, large scale redevelopment of the area has demolished the landmark mill chimney, and it’s unlikely that many wrens will be nesting there in the future. 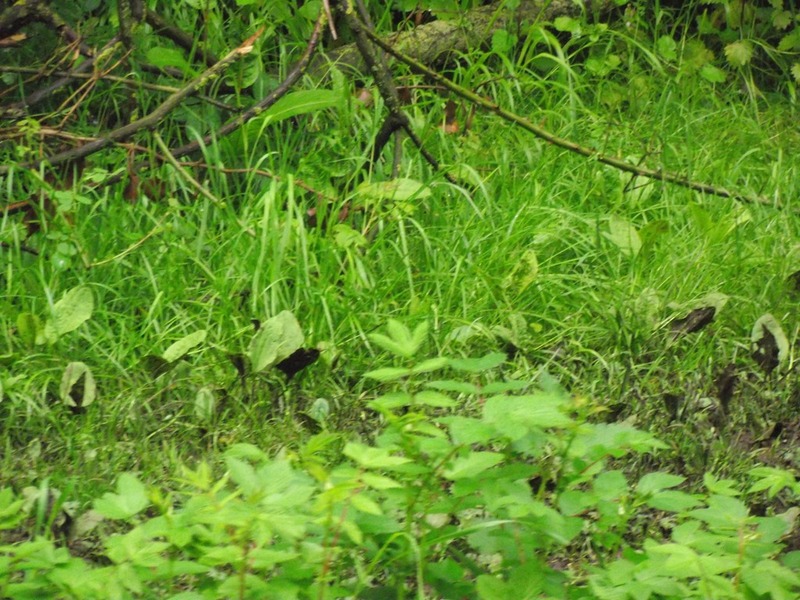 However, we hope that sampling the assertively bitter yet fruity Wren’s Nest will in some small way compensate for the loss of these delightful birds.